TusPark presented the 3rd in its series of talks about doing business in China. Working with the Cambridge Science Park, TusPark has been working to help UK businesses enter China through its innovation ecosystem, the largest in China. This series focuses on helping British startups and companies understand what modern China is like, and gives tips on doing business within it. Last year saw TusPark presenting on “All You Want to Know about China but Were Afraid to Ask”, and “Business Opportunities in China’s Fast-Growing Technology Sector” in October and November respectively. Today, we were delighted to have Mark Schaub, Senior Partner at King & Wood Mallesons to present “What Failed Badly for Foreign Companies in China”. This event was co-hosted by Cambridge Science Park, CBBC, Tech UK, and King & Wood Mallesons. Mark had spent several decades living and working in China, focusing on foreign direct investment, cross-border M&A, intellectual property rights, and private equity investment in China. Mark delivered a particular perspective of China, seen through the eyes of a foreign lawyer. He gave a general introduction of the Chinese market, as well as explained its significance for technology companies in particular. Mark also shared his experience in helping foreign enterprises enter China in various fields, such as blockchain, fintech, life sciences, and more. He spoke about challenges faced by foreign SMEs, such as intellectual property rights, which are especially pertinent considerations for tech and science companies looking to enter the Chinese market. The “China-Series Event” seminars are a platform to understand Chinese and cross-border business opportunities. The next event in the Series will be in May. 3rd Oct 2018: All You Want to Know about China but were Afraid to Ask. This was first lecture of the China Series held by Tuspark UK. Dr. Wei Meng, Director of Operations, TusPark Cambridge, gave an introduction to China’s history, different regions, and regional culture. He also introduced TusPark’s over 200 incubators, science parks, and science cities in different regions of China, and the help TusPark can offer in space, capital and network. The second event of China Series, with talks by TusPark as well as three of China’s tech giants, Huawei, Alibaba and JD.com, companies learned about the business opportunities arising in this fast-growing sector. Henk Koopmans, CEO of Huawei Technologies Research & Development (UK) Ltd, Dr. Chao Zhang, Founding Advisor of JD.com AI Research Europe, and Alan Shen, Cloud Business Development Manager of Alibaba, gave an overview to Huawei, JD.com, and Alibaba, respectively. Discussions on technologies, especially artificial intelligence, China, and business opportunities followed. 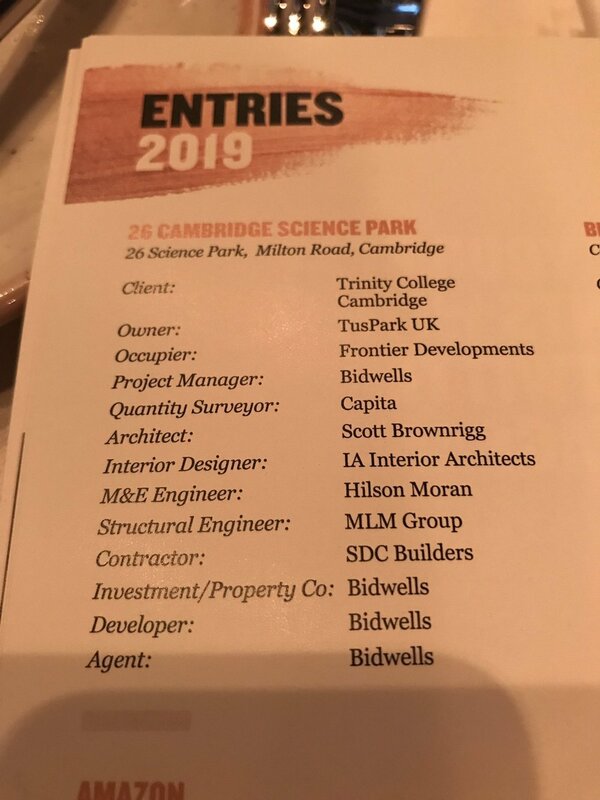 TusPark Cambridge’s Unit 26, at Cambridge Science Park, has been shortlisted in the top four Commercial Corporate Workplace category in the BCO UK Midlands Region Awards. Established in 1990, the BCO (British Council for Offices) Award provides public recognition for top quality design and functionality and a benchmark for excellence in workplaces. BCO is Britain’s leading forum for the discussion and debate of issues affecting the office sector. Unit 26 was designed by Scott Brownrigg for TusPark UK’s collaboration with Trinity College and Cambridge Science Park. In this partnership, TusPark invested over £200 million to build more than 350,000 sq. ft office space at the Park. Unit 26 represents 68,835 sq. ft and was launched in 2018 as the first of TusPark’s buildings. The building is currently occupied by Frontier Developments plc., one of the largest videogame developers in the UK. Frontier was founded by David Braben in 1994, and has produced several games in the Elite series, including 2014's Elite: Dangerous. In 2013, the company reincorporated as a public limited company, and entered the stock market. It has built a uniquely diverse catalogue of games – enabled by its Cobra technology. Meanwhile, Frontier now self-publishes its own high quality, innovative games of different genres that embody its world-class expertise across all major gaming formats. MP for Cambridge, Daniel Stephen Zeichner, was warmly welcomed by President of TusPark UK, Kevin Lin, during his visit to TusPark Cambridge today. At a symposium specially held to mark the event, Mr Lin introduced the history of TusPark, from its origination as a spin-out from Tsighua University in Beijing, to the establishment of TusPark Cambridge via a ground breaking £200M investment into the Cambridge Science Park, and the establishment of a joint venture between both organizations. Mr Zeichner was also shown the upcoming state-of-the-art Bio Innovation Centre, the first on the Park, and featuring world-leading facilities for biotech research and HealthTech innovation. Mr Lin also explained TUS UK’s overarching concept of “Two Countries, Twin Science Parks”, helping startups and scale-ups from the UK ecosystem to set up and incubate in China through TUS’s nationwide network with industry, government and academia, with Cambridge being an important node. TUS UK has launched a new partnership with Barclays bank that would create the largest UK-China innovation network. TusPark Newcastle, TUS Holding’s presence in North-East England, becomes the location of TusPark-Barclays Eagle Lab, and an integral part of the Barclays business support network. Located at Grainger Street, Newcastle upon Tyne, TusPark-Barclays Eagle Lab will provide onsite resources to offer entrepreneurs advice on how to grow their business, from access to funding, to mentoring and events. 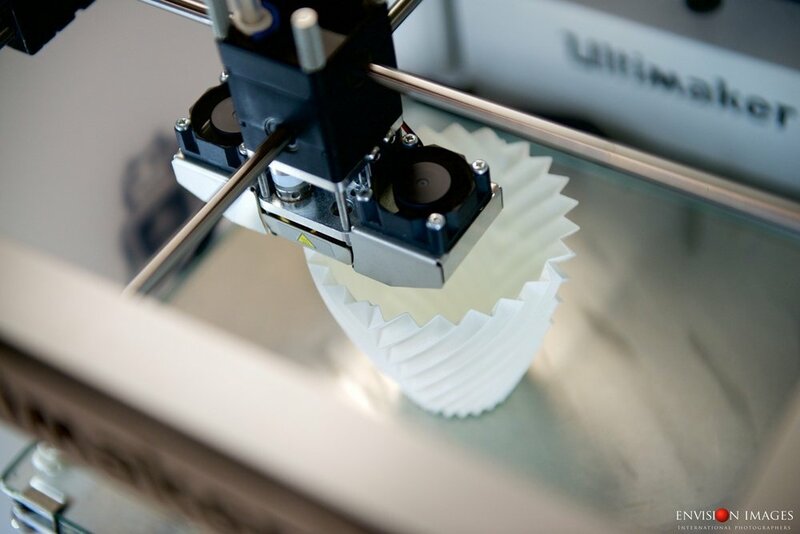 The Lab will also feature a ‘Maker Space’, an in-house workshop with technologies such as digital fabrication, 3D printing and laser cutting, giving businesses access to the tools they need for rapid prototyping. 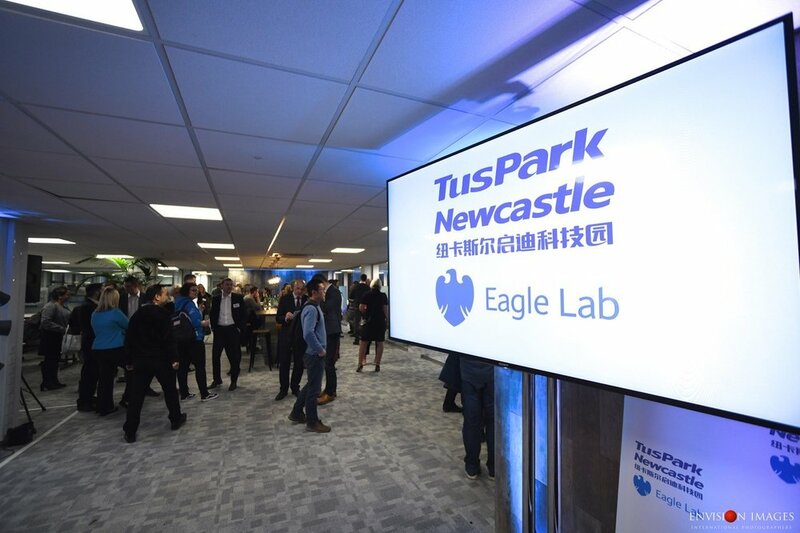 All members of TusPark Newcastle Eagle Lab will be connected to TusPark’s global innovation ecosystem – the largest in China – enabling high-growth enterprises in both locations to deepen relationships and collaborate across the world. TusPark is the largest science park operator in the world. It was originally formed by Tsinghua University to help incubate and develop tech entrepreneurs. Apart from operating its science parks, it is also a major investor and source of smart money. It has also incubated over 6000 start-ups on its premises of which 70 have gone on to become listed companies. TusPark Newcastle is one of the TUS presences in the UK and is positioned to help UK start-ups access the Chinese market through its unique innovation ecosystem. [Read more: IoT, TORC and TusStar]. Eagle Labs is the largest co-working, collaboration and incubator networks for start-ups and scale- ups in the UK. The Newcastle opening marks the twenty-second location in Barclays’ Eagle Lab network, and comes after success in other cities such as Liverpool and Manchester. The launch of the Newcastle site follows the creation in 2018 of a new business unit at Barclays called Barclays UK (BUK) Ventures. BUK Ventures has an independent mandate to deliver new customer experiences at pace and scale – ultimately driving growth for communities, businesses and Barclays – and is responsible for growing the Eagle Lab network. 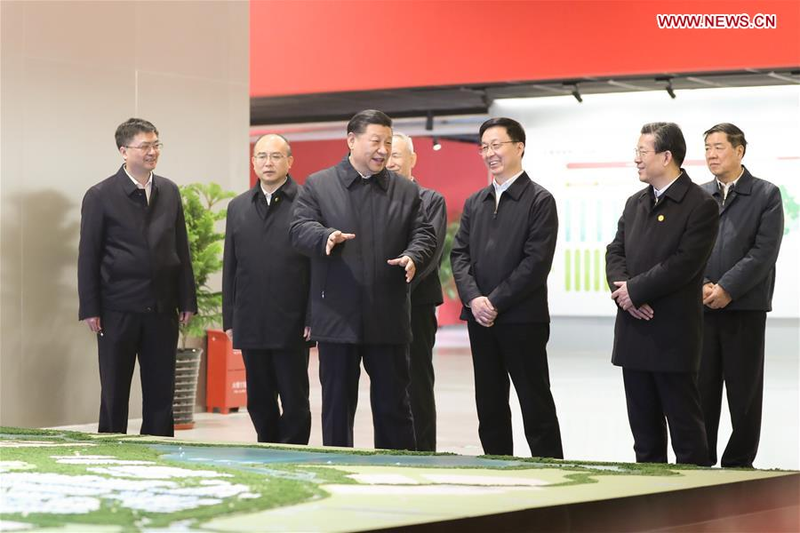 Chinese President Xi Jinping reviewed the general plan and policy system of the Xiongan New Area project at the new city’s citizen service centre in China’s Hebei province on 16th January, 2019. The meeting was attended by Shugui Wang, COO of TUS Holdings, currently one of the resident enterprises and partners of Xiongan. As its primary technology and innovation enterprise, TUS designed the planning outlines for the technological capabilities for the Xiongan New Area, as well as detailed development plans towards its construction as a high-tech city, and is resident on-site at Xiongan. The Xiongan New Area was announced in 2017, spanning three counties in Hebei province to the South West of Beijing. This economic and residential area is planned to be one of the largest projects for China in the 21st century, with a focus on Green, Clean Technologies, Smart City, and Healthcare. TUS Holdings will have a TUS International Innovation Centre in Xiongan, and invites collaboration with international partners, which includes universities and academic organizations, through its triple-dimension helix model of innovation. By bringing together talented people, technology and finance, TUS aims to build a new generation of science park that has a complete flow of incubation service as well as a complete cycle of tech investment funding. 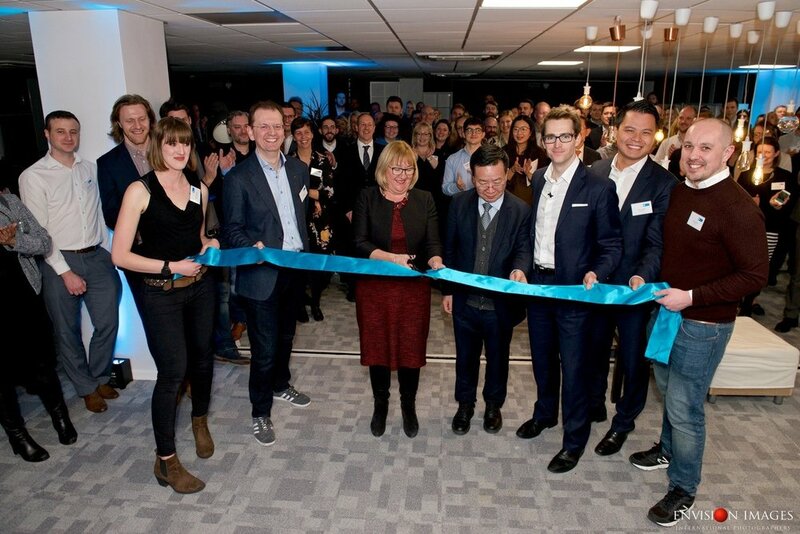 Please join Barclays Eagle Labs and TusPark in celebrating the official launch of our partnership in Newcastle at our business incubator and co-working space, creating the largest UK-China innovation ecosystem, physically bridged at TusPark Newcastle. You are warmly invited to enjoy this evening of networking and entertainment. The 3rd China (Shenzhen) Innovation & Entrepreneurship International Competition has officially been launched on 1st December, 2018. Registration is open from 1st December, 2018 to 28th February, 2019. Tuspark UK as one of UK Division partners and supporters brings this competition to attract high-quality UK start-up enterprises, who are tending to connect innovation network and expanding market in China. This competition brings wide global innovation connection and great opportunities to start-ups. In this year, it will continue but pursuit further connection between cities and regions across the world. A total of ten overseas divisions are involved in this competition: Sydney (Australia), Toronto (Canada), Berlin (Germany), Tel Aviv (Israel), Tokyo (Japan), Stockholm (Sweden), Madrid (Spain), Boston (U.S.A.), Silicon Valley (U.S.A.) and London (U.K.). While, around 40 venture capital organisations will participate in the international competition. Leading by a number of renowned investments organisations, including Shenzhen Capital Group, Shenzhen Green Pine Capital, Oriental Fortune Capital, Cowincapital and Green Orange Capital directly connect with the competition, and form a venture capital fund pool of RMB 25 billion (3.2 billion Euros) to carry out portfolio investment on outstanding projects. During the division competitions, investment organizations and investors from Shenzhen will serve as judges and supervisors engaging in project connections in different divisions. All participating projects will be provided with social capital investment opportunities through the investment connection service platform of the competition. 5) Materials & Energy (including energy conservation and environmental protection). Contestants may register projects under both Professional Competitions and Industrial Competitions, provided that they meet the required conditions. The competition offers a prize pool of total RMB 11.2 million (1.43 million Euros), including RMB 2.9 million (370,000 Euros) for Overseas Division finalists, RMB 1.5 million (190,000 Euros) for Professional finalists, RMB 2.5 million (320,000 Euros) for Industrial finalists and RMB 4.3 million (550,000 Euros) for grand champion. Each contestant may stand the chance to win a total prize of RMB 1.4 million (180,000 Euros). In addition to the prizes, the competition also provides high-quality entrepreneurship projects with support such as industrial incentives, financial technology and project incubation. Meanwhile, two banks will be selected to provide various forms of financial service solutions, such as “Investment and Financing Loans” and “Talent Loans” so as to give more options to settling companies in terms of financing as well as to facilitate the development of contestants. 4) those who had won prizes in previous competitions held overseas by Shenzhen or awards in domestic or international of previous China (Shenzhen) Innovation and Entrepreneurship Competitions cannot participate in this Competition. UK Division Competitions will start in March, 2019, then selected contestants will meet others in Shenzhen, who are selected from the rest of divisions in April 2019 and compete for the final awards. December 1st, 2018 - February 28th, 2019. Scan the QR code below to register now! A delegation from CNIC visited Tuspark Cambridge, and warmly received by Sir Greg Winter, Master of Trinity College, University of Cambridge. Today the pace and scale of technology innovation in China is remarkable. China’s evolution from an economy based on “made in China” to proprietary technology innovation, i.e. “invented in China” represents a huge opportunity for Cambridge companies. TusPark has been working with the Cambridge Science Park in helping companies in the UK to access the Chinese market via TusPark’s extensive network of contacts. The first thing is to help companies understand China in a short time. After the first China Series Event on 3 Oct, this series focuses on various industry sectors in China, the first one of which is the technology industry. A lunch and learn session to discover business opportunities in China’s fast-growing technology sector was held in the Cambridge Science Park on today. With talks by TusPark as well as three of China’s tech giants, Huawei, Alibaba and JD.com, companies exploited the business opportunities arising in this fast-growing sector. Henk Koopmans, CEO of Huawei Technologies Research & Development (UK) Ltd, Dr. Chao Zhang, AI Research Europe Founding Advisor of JD.com, and Alan Shen, Cloud Business Development Manager of Alibaba gave an overview to Huawei, JD.com, and Alibaba, respectively. Discussions on technologies, especially artificial intelligence, China, and business opportunities followed. Each speaker demonstrated China technology gains that has started to switch its focus from ‘Made in China’ to ‘Create in China’ through displaying general development strength and global insight of each company, and China market has never before focused on technological innovation. This series of events provides a platform to understand China and cross-border business opportunities, provided by two of the world leading innovation bases. The next event in this series will focus on life sciences and will be held in the spring of 2019. A delegation from Beijing Municipal Committee of Chinese People’s Political Consultative Conference (CPPCC) led by Wei Li, Vice Chairman, visited TusPark Cambridge. Kevin Lin, President of TusPark UK, accompanied the delegation and introduced the history of the Cambridge Science Park, where TusPark Cambridge is based. Kevin spoke about TusPark Cambridges’s joint venture with the Cambridge Science Park and the new upcoming state of the art Bio Innovation Centre, which is the first on the Park and will feature world-class facilities for biotech research and health tech innovation. Kevin Lin (right), President of Tuspark UK, was introducing Tuspark Cambridge project. A symposium was also held, where Kevin spoke of how the TusPark Cambridge project illustrated the multi-dimensional Triple-helix Model of innovation, propounded by its Chairman, Jiwu Wang. Kevin said, both TusPark and the Cambridge Science Park are top-level players in science parks. With Tus-Global Innovation Ecosystem, the landmark Joint Venture serves both Cambridge and the UK, as well as accelerating cooperation between China and the UK. TusPark UK and the Beijing Municipal Science and Technology Commission seek to jointly build a ‘China-UK Innovation Centre’. The centre will be located in both Beijing and Cambridge, hosting the best high-tech innovation talents from both China and the UK. This centre, placed in both China and the UK, is a critical network of technology, information, market and capital, and an powerful platform for cross border collaboration. Wei Li, Vice Chairman of Beijing CPPCC was delivering a speech. Wei Li affirmed the plan of building a “China-UK Innovation Centre” in his speech. He also said that “technological innovation is the core driving force for the development of Beijing”. Commenting on the importance of talents in driving innovation, Wei spoke highly of the talents in key technological areas in research and industry educated by both Tsinghua University in Beijing and the University of Cambridge. He hopes that TusPark will continue supporting new generations of talents, especially through its vast experience, network, and new models like the China-UK Innovation Centre. During the symposium, the delegation and TusPark UK team also conducted an in-depth discussions on key technological areas, including artificial intelligence, electric vehicle, fuel cell vehicles, and new-generation cancer treatment. Both commercial and technical aspects were heavily discussed. These areas will be a focus of the ‘China-UK Innovation Centre’. The opening ceremony of TusStar (Newcastle). Vice Chairman of Tsinghua University Council, Zongkai Shi (Right 4); Chairman of TusStar, Jinsheng Zhang (Right 3); Vice President of Tuspark UK, Dr. Yunming Shao (Right 2), and President of Tuspark UK, Zhuocun Lin (Right 1) attended the ceremony. TusPark Newcastle officially becomes “Number 125” of the TusStar network, China’s largest innovation network owned by TUS Holdings. TusStar was launched in 1999 as the Tsinghua Pioneer Park. TusStar is the main incubator system of TUS Holdings, and is also one of the earliest incubators in China. It was also the first organization to overlay early-stage venture capital investing on top of its incubator model. TusStar is located in every main city of China, supporting entrepreneurs in professionalizing their startup, as well as giving them connections into local industry, government and academia. It has developed nearly 200,000 square metres of innovation and incubation space, incubating over 5,000 firms. TusStar has produced a considerable number of outstanding startups and entrepreneurs, along with growing with the enterprises. Startups then continue to be helped by other parts of the TUS innovation ecosystem, in areas such as finance and business development. As TUS Holdings’ first fully-owned TusPark outside China, TusPark Newcastle has a special place in its global network. TusPark Newcastle supports entrepreneurs in the North East of England with mentoring and business support, through its partners such as Sintons (the law firm), and KPMG. Officially becoming a member of the TusStar network means that it will be able to both help North East British startups to enter China, as well as help the inflow of Chinese innovation and investment into the UK. This building of a bridge into and from China for UK businesses and especially tech startups is central to the mission of TUS UK, and its participation within the TusStar network both strengthens the overall network, as well gives supporting strength to the local region of the UK that TusPark Newcastle belongs to. The “Internet Plus” Innovation and Entrepreneurship competition is possibly the largest innovation event on earth. The numbers are overwhelmingly high - 630,000 teams in 50 plus countries participated this year. The finalists get a whole package in one go: roadshow in front of 200 high profile investors, massive media exposure, visits to top Chinese firms and potential deals. TusPark UK is the co-organiser of the international track of the 4th “Internet Plus” Innovation and Entrepreneurship and is awarded the “Best Co-organiser” (out of co-organisers from over 50 countries). In total, TusPark UK recommended 150 small businesses originating from the UK to the judge committee, out of which 5 qualified to the final 60, gaining the chance to participate in the final in China. After a round of presentations in front of top investors, Biosceptre and Raco3D, recommended by TusPark UK, won the golden awards, together with another 13 businesses around the globe. Biosceptre is a UK headquartered biotech developing next-generation cancer therapeutics utilising its proprietary target, nfP2X7. Raco3D, whose core founders are graduated from top UK universities, works on 3D printing and is now headquartered in China. TusPark UK is delighted to have helped companies like Biosceptre and Raco3D gain access to the Chinese market and investment through this special opportunity. In future, TusPark UK will strive to bring more opportunities to UK businesses through various channels. Please stay tuned! If you would like to be involved, please do not hesitate to contact us at info@tuspark.co.uk. Baroness Rona Fairhead, Minister for Trade and Export Promotion, visited TusPark Cambridge following the formal announcement of TusPark in the Cambridge Science Park. 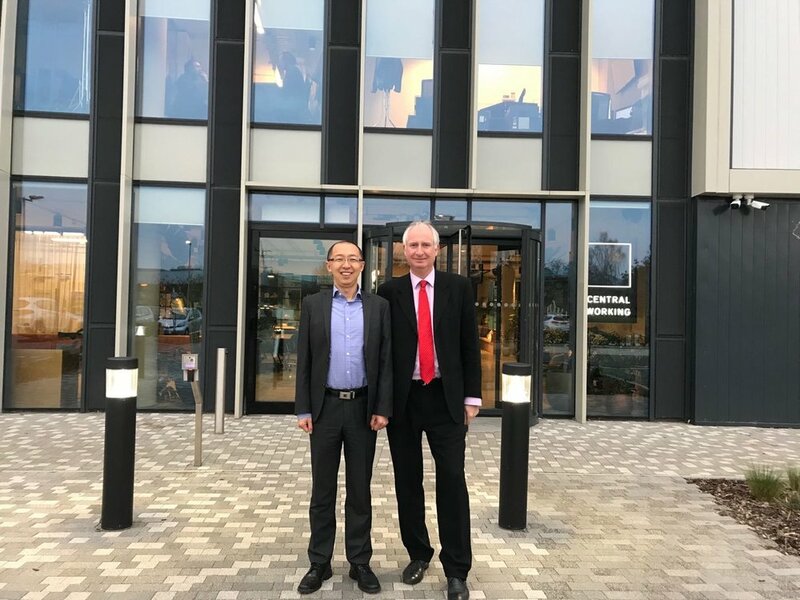 The president of TusPark UK, Kevin Lin, accompanied Baroness Fairhead and showed her the new phase of development in the Cambridge Science Park. The newly developed buildings include the park’s first Bio-Innovation Centre – 41,000 sq ft wet labs and offices for biotech and medtech startups and scaleups. Kevin also spoke about TusPark’s 200 plus innovation centres in China and the world, as well as the 7 key industry sectors that it focuses on, and over 800 companies which TusPark had invested in. TusPark Cambridge connects the innovation activities in Cambridge and the UK to a worldwide network with strong presence in the Chinese market. TusPark supports UK businesses with space, equity investments and various approaches of cross-border collaboration. 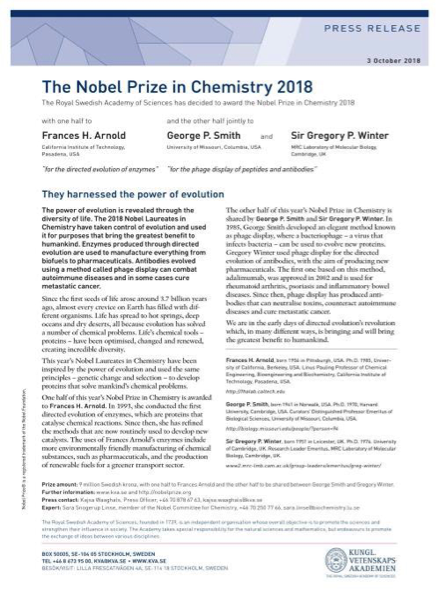 On 3rd Oct 2018, Sir Greg Winter was jointly awarded the Nobel Prize in Chemistry along with Frances Arnold and George Smith, for his pioneering work on “phage display of peptides and antibodies” that resulted in creating new forms of pharmaceuticals. As a key partner of Trinity College, TUS Holdings and CNIC congratulates Sir Greg Winter for his winning of the Nobel Prize in Chemistry 2018. A delegation of senior Chinese government officials has visited the North East, as the latest step in the business relationship between the two territories. The seven-strong group from Anji county, in Zhejiang province, came to Newcastle to promote China as a country for local ventures to do business, with Anji in particular being hailed as a place to welcome ambitious, growing ventures from this region. The visit was hosted by TusPark Newcastle, the Chinese-owned co-working space and business hub established late last year to help support the development of its high-growth tech tenants, and to help promote business links with China. TusPark Newcastle, on Grainger Street, is said to be the first facility of its kind to be established by Tus Holdings outside of its native China. There, Tus has become China’s largest incubator network, with £26bn in assets and more than 200 worldwide presences. Shen Mingquan, secretary of the Anji County Committee of the CPC, said: “We are honoured to have been able to visit Newcastle. “We wanted to come here to help build the connection between our two cities and two countries, and from there, we are sure that business opportunities between the two places will also come. While visiting Newcastle, the delegation met with a number of businesses and graduates in the city, and they encouraged any other ventures with high growth potential which would be interested in expansion into China to get in touch. Anji county, 50km from Shanghai, is an important site for inward investment due to its seemingly picturesque location - which produces more than half of the world’s bamboo supply - and fast-growing economy. Johnny Qi, chairman of the North Britain Chinese Entrepreneurs Association (NBCEA), added: “The relationship between the North East and China has been growing for many years, as more people from China move here and settle here, and there are many links. “Thanks to TusPark, many students and entrepreneurs have learnt a lot more information about China and why they would want to do business there. The visit from Anji has shown us why it would be of such benefit to be based there. The event was attended by senior figures from across the region, including representatives from Newcastle University and Newcastle City Council, as well as from TusPark Newcastle’s partner organisations, Sintons, and Barclays. Colin Tan, head of TusPark Newcastle, concluded: “The whole idea of TusPark to Newcastle is to bring friendship between the UK and China, and to show off the very best of both. Anji is not just a beautiful place, it is a very strong place to do business. The arrival of TusPark, which is investing £200million into Cambridge Science Park, was celebrated at a reception attended by a delegation of business leaders. 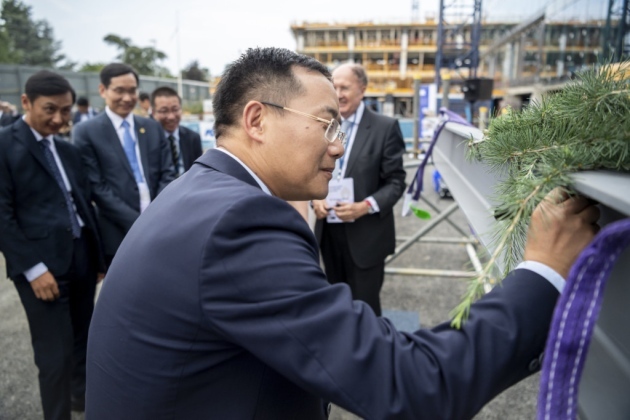 The event included a topping-out ceremony for the park’s first Bio-Innovation Centre – a space where early stage biotechs will be incubated and scaled up. Next door to it is another huge monument to TusPark’s investment – the spacious new headquarters of leading games company Frontier Developments, which was completed in April and officially opened last Friday. TusPark Cambridge, as it will be known, is also building a 61,000 sq ft research and development centre next door to the Bio-Innovation Centre. Both of these are due to open next spring and there are proposals, yet to go through the planning process, for a fourth building. Unveiled during Prime Minister Theresa May’s visit to China in February, it represents a huge vote of confidence in Cambridge from TusPark, the Science Park arm of Beijing’s Tsinghua University, which is said to be the world’s largest innovation network. For biotech pioneer Sir Greg, it represents the next chapter in the Science Park’s illustrious history. 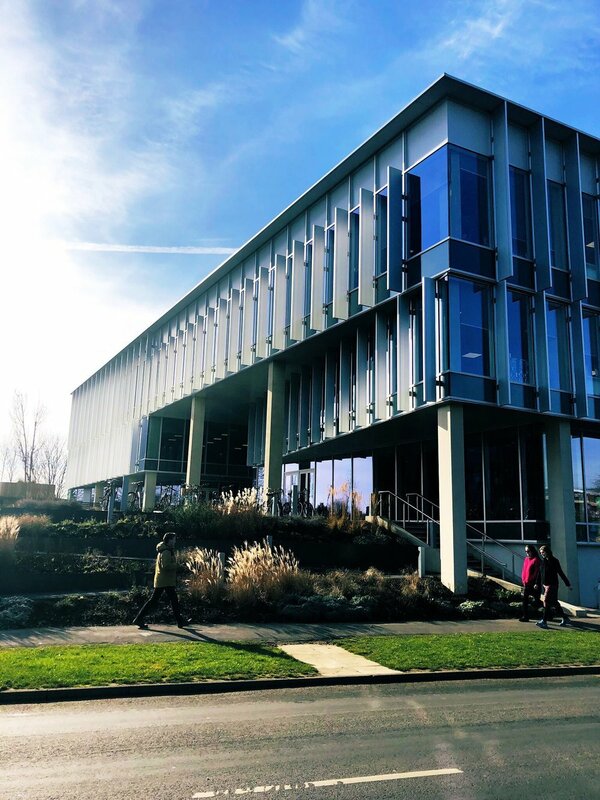 “Since it was established in 1970, Cambridge Science Park has played a pivotal role within the Cambridge Phenomenon – the transformation of Cambridge from a market town with a world-class university to one of the leading technology hotspots of the world. Home to more than 100 businesses, many of which are working on “life-changing, life-saving” technologies, the park’s renewal began a year ago with the building of The Bradfield Centre, the collaborative workspace for early stage deep tech companies. Already housing to one Chinese company, Sir Greg revealed that another – e-commerce company JD.com – plans to move in later this year, establishing an artificial intelligence R&D space. “Tus’s investment in property on Cambridge Science Park is both welcome and timely,” he said. With senior leaders from Tus listening on, Sir Greg praised the “pace and enthusiasm” with which the small TusPark Cambridge team, led by the effervescent Kevin Lin, had “engaged not just Cambridge Science Park but the wider Cambridge community”. Further evidence of TusPark’s intentions to foster deep links with Cambridge’s hugely successful cluster has come in the form of investment into two companies – Babraham Research Campus-based novel cancer therapeutics company Biosceptre and medtech pioneer Diagnostics for the Real World, of Chesterford Research Park. “Tus’s willingness to help Cambridge companies access the Chinese market, whether it’s to find partners, investors or manufacturers, adds enormous value to companies in this region,” said Sir Greg. Biosceptre is one of those innovative companies. Founded in 2003 in Australia, the biotech’s is developing next-generation cancer therapeutics utilising its proprietary target. CEO Gavin Currie said the company raised about £8.5million, including £5million from TusPark, which is funding a phase I clinical trial for a vaccine product. “Our first patient will be recruited in the first couple of weeks in August,” he said. For the company, trust was a big issue when moving into the Chinese market – but Gavin said in TusPark the company had found the ideal partner. “Probably the best thing about finding TusPark was that they had that strong innovation network,” he added. “Within China it has such a strong reputation. “What we’ve seen as a company our profile lifted significantly. Jiwu Wang, chairman of Tus- Holdings, said the company was focused on “cluster innovation” and, with more than 300 science parks and incubators around the world, was the biggest innovation network in the world. “We can draw inspiration from each other,” he said, speaking in Mandarin. “I would love to see China and the UK and Europe closely collaborate with each other, especially in innovation. “With TusPark Cambridge, we hope we can. David Sheppard, head of China, Europe, Middle East and Africa, at the Department for International Trade (DIT), said: “The investment that we’re celebrating is exactly the sort of investment that the UK government wants to attract. It will provide space for UK life sciences companies to grow and develop, which is a key priority for the UK government, as demonstrated in the life sciences industrial strategy and sector deals, which were announced last year. “There’s a really big opportunity for China and the United Kingdom in the life sciences sector. Ma Hui, minister at the Chinese Embassy, said the agreement “marks a new level of co-operation” and was blueprint for others. “I hope it will be a high-level platform for incubation,” he added. Julie Spence, Lord Lieutenant of Cambridgeshire, said: “The impact of the exciting joint venture which you’ve heard about extends far beyond the banks of Cambridge Science Park, Trinity College and TusPark. At the topping-out ceremony, Trinity College’s senior bursar Rory Landman praised the work of Cambridge Science Park director Jeanette Walker “for her tireless energy and enthusiasm”, which he said was “instrumental” in the project. He also thanked architects Scott Brownrigg and contractor SDC, along with the professional support of Bidwells and Mill & Reeve. “TusPark Cambridge is glad to be a member of this community,” concluded Kevin Lin. The day (July 19, 2018) also saw the opening of the Tsinghua Alumni Hub in the UK. Barclays Bank is bringing its Eagle Labs accelerator programme to Newcastle after signing a collaboration deal with a Chinese science park in the city. Speaking at the launch of TusPark Newcastle , officials from Barclays revealed that the bank is set launch an Eagle Lab in the facility on Grainger Street. Barclays currently runs 14 Eagle Labs across the country but has never previously opened one in the North East. The focus of each lab is to help businesses scale up by offering access to mentors and advice in areas such as business planning, marketing, and product design. The programme also provides opportunities for “reverse mentoring” where small businesses are given the chance to show how their ideas can benefit large corporations, as well as providing digital training to the community. Speaking at the TusPark launch event Chris Forrest, head of Barclays Business Bank UK, said: “We are working very closely with TusPark to bring one of our Eagle Labs here to Newcastle, which work to support scale up businesses here in the UK. “Through the labs we are 100% committed to transforming the digital landscape of the UK. It is overdue to bring one of the labs to Newcastle. The accelerator is being launched in collaboration with TusPark, which recently opened its first UK science and technology centre in Newcastle. TusPark - which originally spun out of China’s Tsinghua University - is one of the world’s biggest operators of business parks in the world. Since opening its first UK office in Newcastle the organisation has already made waves in the business community after launching a scale-up programme designed to help UK firms expand into the Chinese market. A number of tech businesses will now have a base at the science park at Maybrook House, on Grainger Street, including WifiPlug, Skriware, Beeline, Study Atlas, Equiwatt, and Plan Digital. Among the speakers at the office’s official launch was Nick Forbes, leader of Newcastle City Council, who explained the importance of having TusPark in the city. Mr Forbes said: “Newcastle is a city which is really going places. TusPark’s arrival here is a symbol of the journey Newcastle is on as a city. “Newcastle is a city which is no stranger to innovation, we know that innovation runs through our DNA. This was the place the steam locomotive was invented, the electric lightbulb was invented, and there will be many of these inventions shown at the Great Exhibition of the North later this year. “It is not just the innovation in the past which is important, it’s about showing the innovation which is shaping our societies and economies today and will do so in the future. We share this vision that Newcastle should be at the heart of these industries. Mr Forbes said that Newcastle should strive to be in the “Premier League of UK cities” and believed the North of Tyne devolution deal was one way he was hoping to achieve that aim. On March 29th, the roadshow of Chinese and UK IoT enterprises from the Tus-UK IoT Accelerator Program (Beijing Stop) was held in TusPark. 7 UK enterprises standing out from the first international Demo Day of the TusPark (Newcastle) and 5 enterprises selected by TusStar gave wonderful roadshows in succession and exchanged with the representatives of the investment organisations. HOU Yun, Deputy Director of Zhongguancun Administrative Committee, ZHANG Jinsheng, Vice President of TusHoldings and Chairman of TusStar, Jean-François Verdi, Innovation Director of Innovate UK, YANG Ming, President of Tus-S&T Service Group and LIN Zhuocun, President of the UK Branch of Tus-S&T Service Group attended the roadshow. ZHANG Jinsheng pointed out that the TusPark, operated and managed by TusHoldings, is one of the important carriers of Zhongguancun innovation and entrepreneurship. Since 1994, it has been committed to serving the development of entrepreneurship and innovation enterprises, and promoting the transformation of scientific and technological achievements, and the exchange of innovation talents. At present, TusHoldings has established a number of innovation carriers in Italy, the UK, and the US, and this is an important measure of TusHoldings to build a global innovation network. In the future, TusHoldings will rely on the “Dual Parks, Dual Incubation Bases, Dual-currency Fund” model to build an international innovation platform and promote the exchange and commencement of international projects. “Innovate UK, as the UK’s innovation agency responsible for industrial upgrading, aims to promote the development of innovation and cultivate the people’s sense of innovation.” Jean-François Fava-Verde systematically introduced the situation of Innovate UK in terms of its origin, development history and investment fields, etc. At the same time, he believed that this activity not only deepened the understanding and trust between the innovation agencies in China and the UK, but also allowed the UK’s enterprises to realize the value of TusHoldings in start-up business incubation and growth enterprise support, and to expand their friend circle. He hoped that both sides would continue to deepen cooperation and create more value for the enterprises of the two countries. On the same day, 12 Chinese and UK enterprises in the fields of Internet of Things products, medical technology, transportation management, education innovation technology, new energy technology, etc., including Orxa Grid, WifiPlug, Beiye Technology and CherubiMind, launched wonderful roadshows with respect to product advantages, operating models, future planning, etc., attracting nearly 100 investors and entrepreneurs from TusPark Ventures, THG Ventures, HEAVEN-SENT Capital Management Group, UNIS Investment and CSC Group and so on. In the past three days, the IoT Accelerator Program (Beijing Stop) also organized related training on innovation service system, intellectual property protection, interpretation of tax policies, etc. Hebert CHEN, COO of TusHoldings, also gave a speech named “Advantages and Challenges of China’s Innovation Ecosystem and Science Parks” on the first day of the activity, sharing with the UK’s companies the development conditions of China’s innovation and the innovation ecology of TusHoldings. At the same time, special matching was arranged for the Chinese and the UK’s companies, and the companies from both countries expressed that they had benefited a lot from it. The Journey in China of the Tus-UK IoT Accelerator, organized by the UK Branch of Tus-S&T Service Group and vigorously supported by the UK government’s Innovate UK, will last for a total of 3 weeks. The activity starts in Beijing and will arrive in Qingdao and Shenzhen next month. The project will also continue to organize training and exchanges on the policies, markets, intellectual property rights, investment and financing and other contents in China, and conduct in-depth exchanges with the local governments, entrepreneurs and investors in Qingdao and Shenzhen, which have a strong industrial foundation and great innovation vitality, so as to explore the possibilities and models of landing of the UK’s industries in China. Porter provides keyless intelligent system digital service platforms, whose application scenarios include entry and exit in personal daily life, corporate access control, building central authority management, security, vehicle access control, etc. Porter is capable to integrate products with different manufacturers, different quantities and different application scenarios. Compared with Honeywell, Kisi, Assa Abloy, August, Danalock and other famous access control hardware and smart key manufacturers, Porter’s platform is featured by versatility, easy expandability and convenient application. Medicsen provides dietary and lifestyle advice for diabetics through blood glucose monitoring. With the mobile apps and adhesive plasters, insulin can be released automatically according to the blood glucose levels of the diabetics. The products can work with third-party wearable hardware to manage the patients’ blood glucose levels comprehensively through the Medicsen cloud platform, and the adhesive plasters in the system do not require acupuncture. As a joint venture established by KAM Futures and the University of Huddersfield, SimpliAI is mainly engaged in providing intelligent traffic solutions for cities in combination with artificial intelligence. The company’s integrated solution platform can quickly analyze the traffic conditions and provide traffic management and diversion solutions through access to the urban traffic management systems, so as to replace conventional traffic light time settings and road speed limits. The system has already been on trial in Manchester. As a smart home company in the UK, WifiPlug is engaged in the development of intelligent hardware. WifiPlug has cooperated with Apple, Amazon, Google and other organizations in product development. The smart sockets and related applications developed by it allow users to remotely control light switches and other devices. The WifiPlug artificial intelligence platform can calculate energy consumption in the house and help users save energy. The company’s product sales in the UK reached up to 50,000 pieces. ThingTrax provides industrial enterprises with Software-as-a-Service (SaaS) solutions and plug-and-play machine optimization analysis devices, which track, capture and analyze data from machines and operators for the manufacturing industry, and provide operable business analysis in real time. The solutions can help manufacturers reduce their unplanned downtime through effective preventative maintenance, and greatly improve their operational efficiency to achieve a competitive advantage. The IoT sensors developed by Orxa Grid can be installed on the main power grids, transformer stations and various sub-grid lines. Such sensors diagnose fault through the cloud platform and provide grid efficiency improvement plans, so as to reduce grid energy losses effectively and improve grid efficiency. The solution has already been applied in the Indian market. As a Polish-Swedish start-up business, Skriware has created a fully integrated educational ecosystem, composed of an intuitive, easy-to-use 3D printer, an online 3D model library, a virtual 3D playground and an e-learning platform. The company’s goal is to help students develop their interdisciplinary skills by designing, constructing and programming robots. In 2017, Skriware launched a new program in cooperation with Dartmouth College, aiming to further encourage the development of the STEAM (Science, Technology, Engineering, Art and Mathematics) skills. The program is expected to begin implementation by the end of this year, and the participants will acquire the skills required for future work. The core of the project is an e-learning platform, through which the users can upload the robot models previously designed by them, print them out with a Skriware 3D printer, and use a dedicated APP to control and program these robot models. Based in Newcastle, UK, StudyAtlas mainly provides one-stop solutions for international students studying abroad, including assistance with application for university programs and life adaptation guidance before and after landing abroad. The software developed by StudyAtlas can help students achieve living transfer from one country to another through mobile terminals, other third-party software systems and related IoT technologies. Through cooperation with different universities, a major function of the system is that the students can apply for different courses in different universities through the platform, thus eliminating the need to find offline college agents and the tedious steps of repeated entry of the same application information in the application system of different universities. Since the operation of the system six months ago, about 10% of the UK’s universities have signed up with StudyAtlas, and satisfied social and economic benefits have been received.